Do you want to meet with the God of the Bible in a whole new way? Do you want to grow in your understanding of God’s Word and learn how to share His life-transforming truth with others? The Discipleship Bible School (DBS) is an exciting 5 month adventure in God’s Word that will change the way you read, study and teach the Bible forever. During your DBS, the Bible will come alive to you in a way you never thought possible. You will be able to read all the 66 books, understand the historical context of each of these books, the chronology of bible events and also recognize the different genres of literature like narratives, wisdom literature, prophecy, gospels etc. You will discover how the stories of the Bible are not just random and disconnected but are part of one great story of the Bible that fits together to reveal the amazing God who inspired it. The DBS invites you to be part of community as you explore the Bible together­ – a safe place where you can ask questions, share your own ideas, be challenged and grow together. This community includes your fellow students, passionate DBS staff and diverse lecturers from different nations who will come to impart their knowledge and love of the Scriptures to you. From all that you learn during the first three months of DBS you will then see the power of the Word of God to transform individuals, communities and even nations during outreach phase. You will go out as part of team to communicate what you have learnt and equip others to study God’s Word and meet the God of the Bible for themselves. YWAM Blantyre is a vibrant, passionate community of faith, seeking after God’s heart and desiring to reveal Him to the world around us. We are a House of Prayer, joining together each morning to worship God and intercede for the nations. God has blessed us with a wonderful base campus on the outskirts of Malawi’s second city Blantyre. We have a beautiful property with gardens, swimming pool, community spaces and accommodation for the international mix of staff and students who are part of our base. 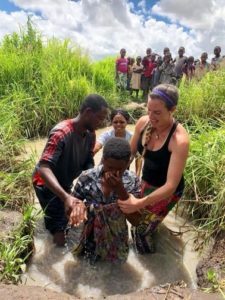 The people of our nation are renowned for being welcoming and friendly and we would love to welcome you to join us as we seek to know God and make Him known in the beautiful nation of Malawi, ‘the Warm Heart of Africa’. Tom Haig. 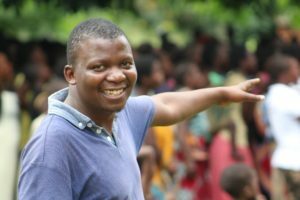 Tom is from the UK and has been serving with YWAM in Malawi since 2016. 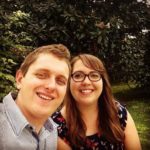 Tom and his wife Sarah were doing ministry with young people in the UK when they felt God call them into a new adventure of faith. 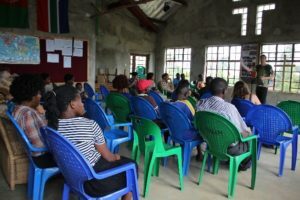 God led them to Blantyre where they have been involved in leading DTS schools, serving on the base leadership and helping develop the training at YWAM Blantyre. Tom completed a Theology degree in 2013 and is always wanting to grow in his knowledge and relationship with God.